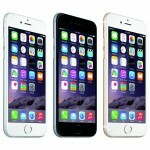 Apple has recently carried out another round of expansion for the Flyover 3-D view feature of its Maps app. 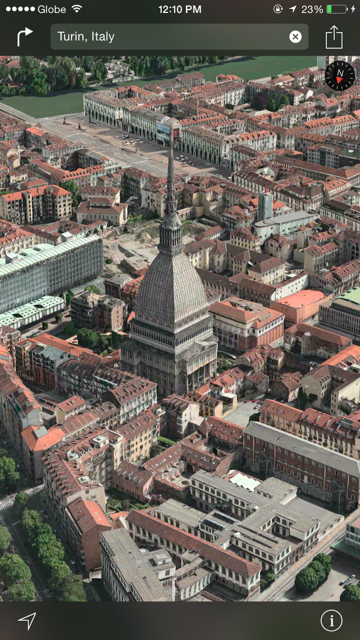 As reported by iGen (via MacRumors), Apple has added Flyover support for several locations in Europe, including: Dijon and Strasbourg, France; Turin, Italy (pictured); Rotterdam, Netherlands; and Malmö, Sweden. Powered by the 3-D mapping technology acquired by Apple with the company’s purchase of C3 in 2011, Flyover allows Maps users to, well, “fly over” supported cities and their landmarks with photorealistic interactive 3-D views that can be zoomed, panned, and rotated. A couple of weeks ago, Apple expanded its Flyover support to cover the following areas and landmarks in France, New Zealand, Sweden, and the U.S.: Grand Canyon and Meteor Crater, Arizona; Royal Gorge, Arkansas; Avignon, Biarritz and Perpignan, France; Dunedin, New Zealand; Visby, Sweden; and Devil’s Tower, Wyoming. At the same time, Apple expanded movie showtime listing access via its Siri personal assistant software to provide screening times in Australia, France, Germany, Italy, Mexico, and Spain, in addition to the U.S., Canada, and the U.K.
See also: Apple finally switches over to Apple Maps for the Find My iPhone iCloud.com interface, Apple working to improve crowdsourcing features of its Maps software, and Apple’s Maps has at least 10 new business listing information providers.